Robert Cialdini, one of the founders of modern marketing, described the 6 pillars of persuasion: reciprocity, commitment, social proof, authority, liking, and scarcity. And when it comes to the last one – scarcity, the product seems more attractive when it is perceived to be limited, according to Cialdini. This paradox is also known as FOMO (Fear of Missing Out). If we think the product will soon become unavailable to us, we are more likely to buy it. And the best way to show a limited time offer is a countdown timer. 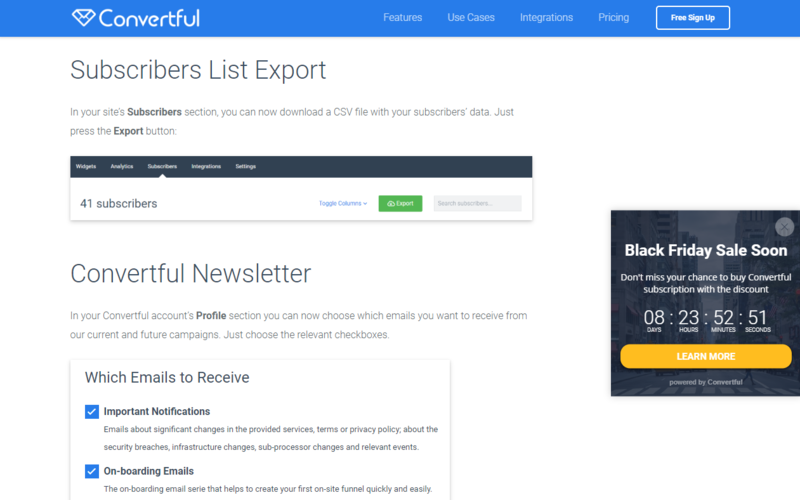 When we came up with the very first version of Convertful, we launched the early bird subscription plan and emailed our prospects about it. And we got less than 2% in sales from that campaign. However, once we declared that the offer was limited (which was true btw), whopping 24% of our email subscribers bought their plans; most of them – on the very last day. Scarcity works! Another good example of scarcity effect comes from the guys at ConversionXL. They A/B tested two versions of a landing page: one with the basic information and another one with a countdown timer and the info about how many items have been bought so far. The results were staggering. The conversion rate of option B was 3 times higher than that of option A! 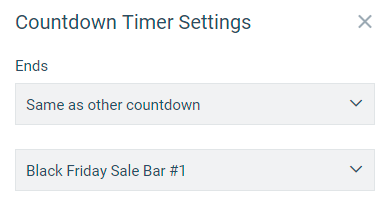 Another benefit of using the countdown timer is that it allows users to understand exactly when the offer ends. It is crucial for business when customers are located in different time zones. I ran dozens of promotions in different types of businesses. Whenever I stated a deadline with a simple date and time, I would receive numerous emails from people who didn’t clearly understand when the offer ended and missed the opportunity to make a purchase. NOT cool! The countdown timer solves this problem, too. However, in order for it to work, it should be perceived as something natural so that the clients believe the limitation is real. 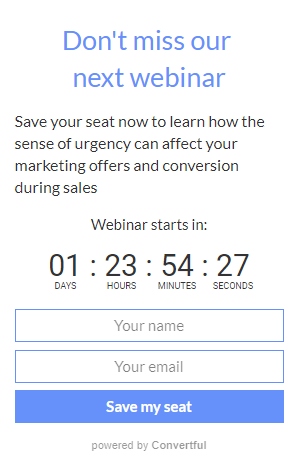 The Countdown Timer can be a powerful marketing instrument to drive conversions. But in order to make sure it works, it’s important that customers buy in the scarcity of the offer. So, when do people trust countdown timers? Offers related to a specific event have a natural deadline – the beginning of this event. For instance, it might be an educational webinar that you use as part of your sales funnel. Naturally, the webinar has a date and time set in stone. In order not to miss it, users will need to sign up on time. For retail stores, the end of the season is a great way to create a time-limited offer. Thus, a clothes sale from the previous season ends up with the beginning of the new one, helping stores to sell off the old collection. Big sale events like Black Friday, Cyber Monday, and Singles Day have an exact date that customers are aware of. Promoting an offer with a countdown timer before such events looks natural and will help you boost conversions. During Cyber Monday alone, Americans spent colossal $6.59 billion in online sales. This is a great opportunity for your brand to run a promotion that will likely get noticed and taken advantage of. Pro tip: To ‘own’ the day, you can also tie the time-limited offer to the company’s birthday or another special event. 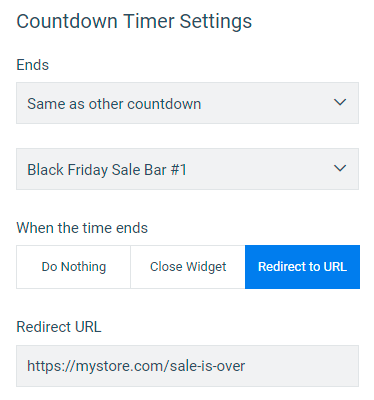 The countdown timer also allows you to drive repeat sales naturally. For instance, when an insurance or gym membership is coming to an end, the company might offer to renew the subscription with a discounted price — but only while the current subscription is still active. Imagine you’ve added some brand new functionality to your service but haven’t raised the price just yet. (By the way, this is what’s happening to Convertful at the moment, and we will soon be raising the prices). In this case, you might want to use the countdown timer to let your users know how much longer the old price will be available. Another example is a completely remastered webinar or online training. Drive more attendees with a time-limited offer. Pro tip: this type of countdown timers works particularly well in email newsletters. You can offer a welcome discount that only works for the first 24 hours after the first visit. This option might seem a little less powerful than the ones we have described above but it still works. In this kind of promotions, each visitor will have own personal deadline. Here, you might want to use an inline widget that is placed on a landing page dedicated to the offer. When the same time-limited offer is mentioned several times on the page, it’s important that the countdown timers show the same time. Ideally, the timers should be synchronized up to a second. This will give the deadline more credibility. When the time runs up, it’s important to show that the offer is over. Customers that didn’t manage to buy will keep it in mind and be more likely to buy next time you run a special offer. You can use the same page to notify customers about the next sale (if any) and collect emails. The benefit of placing a floating bar at the top or bottom of the page is that it can tell users about the offer without distracting them from the page content. 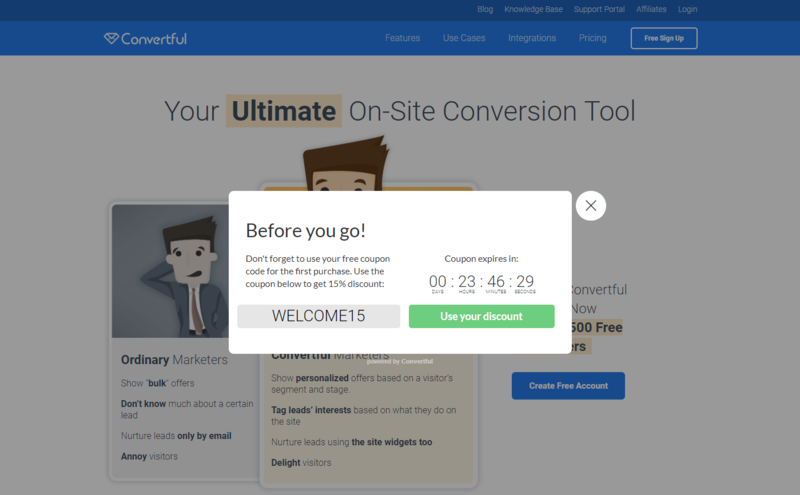 Unlike the timer placed on the special offer page, it’s best to hide the floating bar when the sale is over, in order not to lead the users from the page they are interested in. Scroll boxes have all the benefits of floating bars. They work especially well for articles that have a sidebar. Normally, such articles have a free space on the right-hand side. A scroll box can naturally fit into this space. 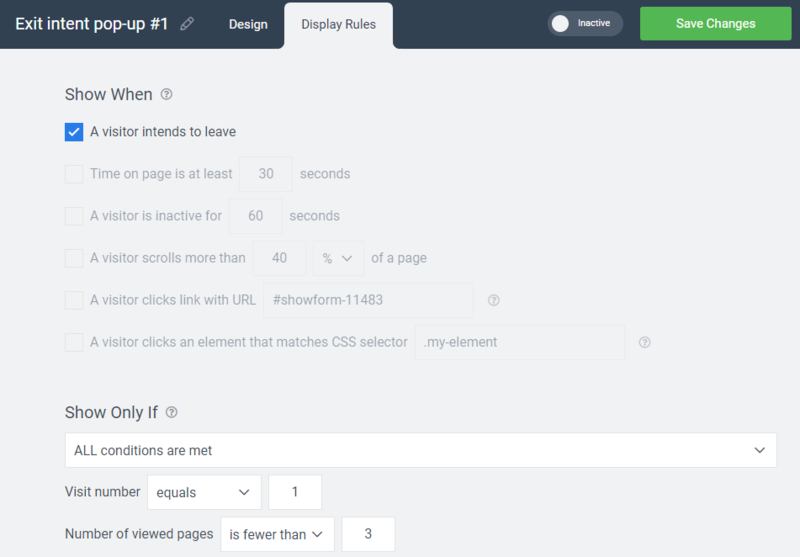 In order to do this, you will need to specify how much of the page (% or pixels) the user will need to scroll before the scroll box is displayed. It’s a good idea to offer a time-limited welcome discount to cold inactive users upon when they intend to leave the page. This tactic allows you to offer a discount only to those visitors that are very unlikely to buy without it. While a regular welcome discount increases sales but decreases the profit, a selective discount will help you boost both. 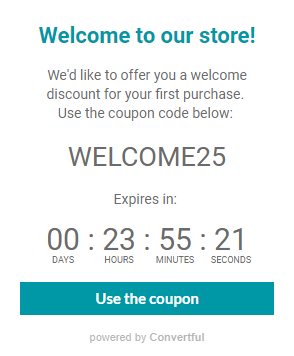 Using the countdown timer will make such welcome discount more effective. There are special services that allow you to generate images with countdown timers. You can enter the date and time when the offer ends, and the service will generate a special link with a countdown image. Every time when opened, the link will renew the image so that it shows the updated countdown numbers. You can then embed this link as an image in emails. This way, your readers will be able to see the numbers counting down in all modern email clients, including on mobile. The images are hosted on a 3rd party server. Hence, it’s important that the server is stable; otherwise, the images just won’t load. We came up with a shortlist of free and trusted services that will help you embed the countdown timer in your emails. 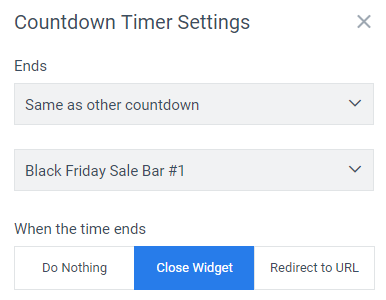 In order to embed the countdown timer, add a new image to your email and insert the generated link. Your subscribers will thank you for the fact that you don’t make them calculate the deadline time in their own time zone! 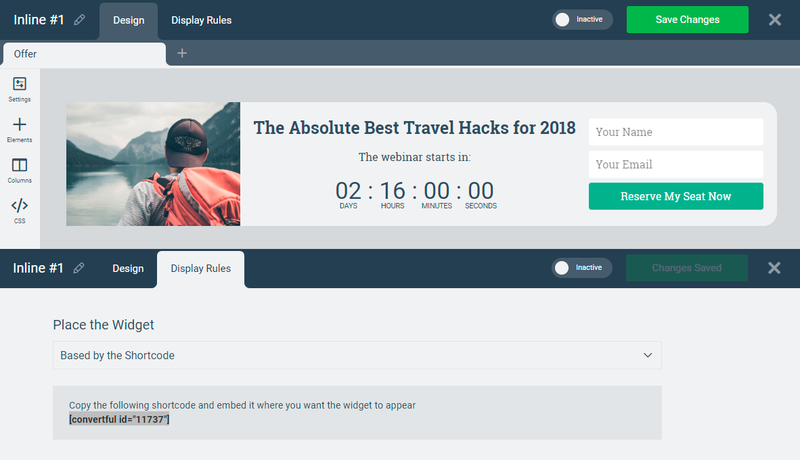 When used properly, a countdown timer is a powerful tool that demonstrates scarcity and can boost lead generation, lead nurturing and even drive repeat sales. And it only takes 10 minutes to implement. Try this in your next offer and share the results!